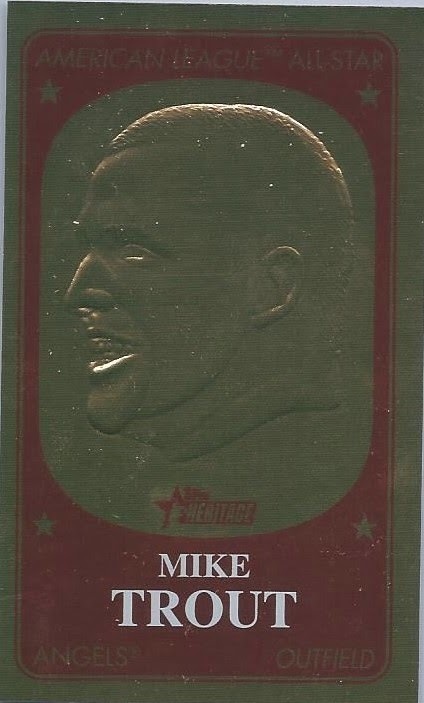 2014 Topps Heritage is Live! Finally!!! Well, it took longer than anyone expected but my favorite checklist of the year has finally been released by Topps...ten days before the revised scheduled release date! I have not had a chance to look at it much yet but one thing I noticed is the New Age Performers has been reduced to a 20 card set so it should be a little easier to complete than the 30 card monster from last year. Also there are Celebrity Cut Signatures including Betty White, Elvis Presley, John Wayne and more. I can't wait a week and a half, hopefully retail will hit a few days earlier like it did last year.